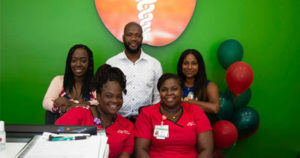 Big Apple Urgent Care, the first Black-owned urgent care center in Brooklyn and one of the few in the entire country, is not only a successful business but a significant healthcare alternative to the community. Its co-founders, Dr. Tamara Moise and Wadson Fils, are both medical professionals who aim to provide only the best healthcare for their patients. Dr. Tamara Moise, an emergency room doctor, and Wadson Fils, a physician assistant, both had experience working in numerous emergency rooms. Through that, both of them have seen the lack of healthcare providers as well as the importance of diversity for better health outcomes. Those ideals are what inspired them to provide community-focused, high-quality, and personalized care through Big Apple Urgent Care. Located in the diverse area of East Flatbush, they ensure that every patient they accommodate is treated with care and respect. The fully accredited urgent care facility features six exam rooms and state-of-the-art equipment such as an on-site x-ray. Their staff consists of multilingual medical professionals that are fluent in Creole and Medical Spanish and equipped to handle all kinds of medical needs such as employment physicals, minor illness and injury, immunizations, x-rays, lab work, and more. The medical center is open 7 days a week and even in most holidays. Appointments and walk-in patients who have an urgent medical need or those who can’t get an appointment to see their primary care doctor are most welcome. Insurance plans are accepted and they also offer affordable healthcare services for those who are uninsured. Moise and Fils are confident that they will continue to serve the East Flatbush community in Brooklyn in the next five years and so. They also hope to open up to 3 more of the state-of-the-art health center in other underserved areas within New York.